Nothing says Harnic get together better than the dreaded Harnic WarFerret. A vicious creature that hurls flaming potatoes in your general direction warning you of a get together of fans of the great game of Harn. 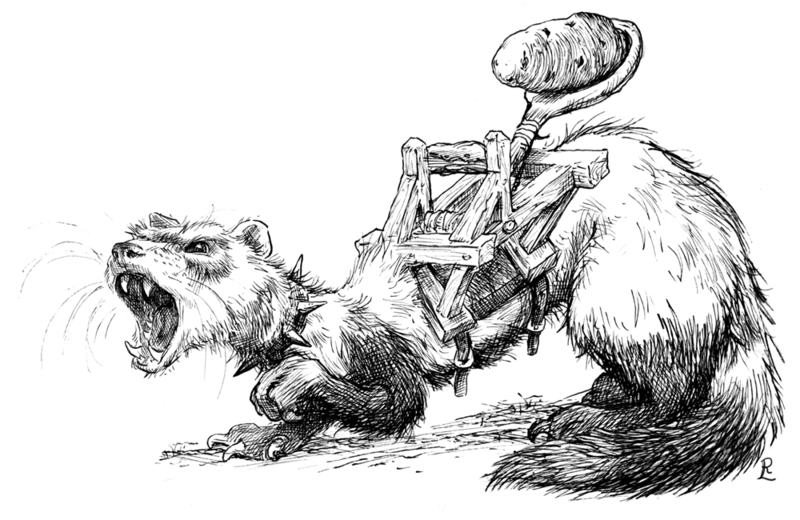 Fans of the game will understand and fear the War Ferret- the rest of you should just show up for a weekend of gaming with the smartest fans in the fantasy role playing game world. $15 for the entire weekend.